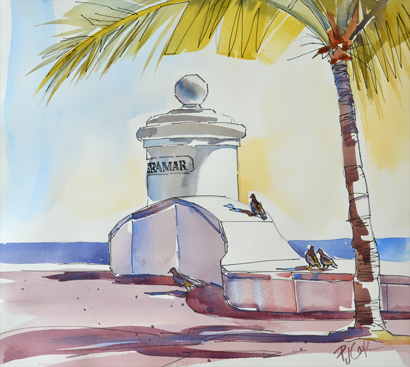 Pen & Ink drawing with watercolor. 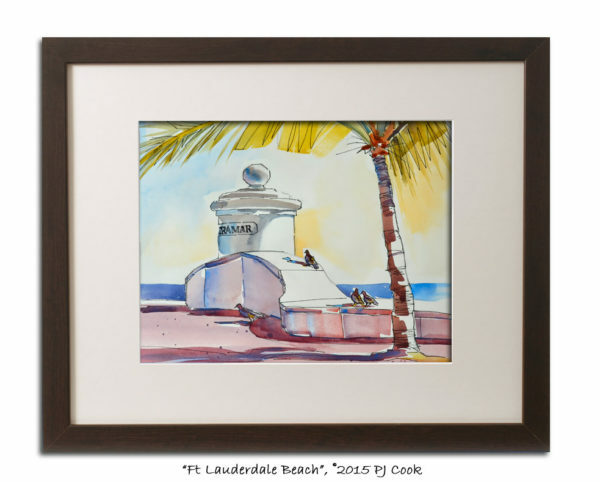 Latest original painting is Fort Lauderdale Beach at Terramar Street. I’m quite fascinated by these beach entrance walls and columns all along the beach on A1A. The pigeons happened to be hanging out on this day when I was sketching. I went back to my studio and did this pen and ink with watercolor. The birds created nice shadows on the bright white wall. 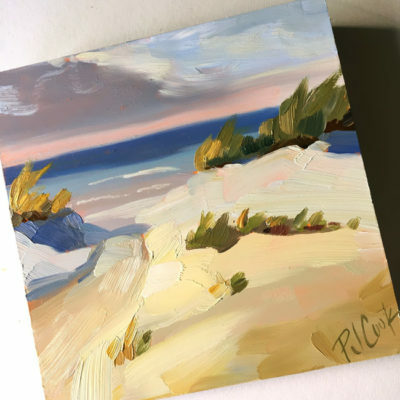 Artist Notes: This beachscape painting is an original work of art by PJ Cook. 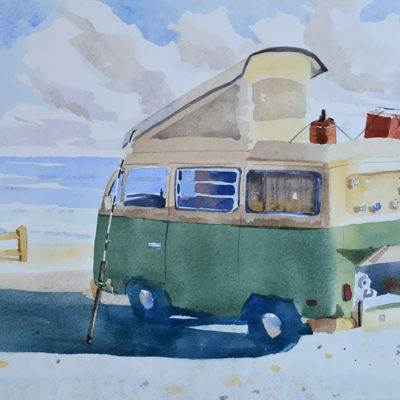 Original watercolor is 9″ x 10.5″ size, below is what the painting might look like in a mat and picture frame. Professional materials used throughout. Signed by the artist front and back. If you are in South Florida area this painting can be picked up otherwise it can be shipped. Thank you for your interest in my original art and please contact me with any questions.